We are continuously inspired by our dear friend and beloved teacher, Elena Brower. She invited us to be a part of this magical class by donating mats for the caretakers at the Children’s Hospital of New York. Every night I have the luxury of going to sleep with one hand behind my son Jonah's head, and one hand on his heart. He loves that little moment of energy healing, and has always loved it since I'd taken my first Reiki training with Pamela Miles in New York City. Sometimes he requests a placement on his belly, or his shins for those shinsplints as he grows. In the mornings, I wake him by putting my cheek next to his, and whispering, "Good morning, I love you." I'd never realized how truly lucky I am to simply touch him and have him so close until recently, when Nurse Ellen Fernando and Dr. Anita Patel of the Children's Hospital of NY came to thank me after offering a meditation, and told me about where they work. From Anita and Ellen on our first few emails, "CHONY (Children's Hospital of NY) is the biggest children's hospital in New York, and to say that we take care of the sickest children in NY is an understatement. We take care of them with all of our hearts (besides skills and knowledge). Most times we win the battle, but unfortunately there are times when we don't. The nurses and doctors at CHONY are all incredible humans." The following week I took my son to meet the staff at the Pediatric Intensive Care Unit there, intending to offer meditation and perhaps yoga, but we had no props or mats. We all assumed that if the staff could practice calming their minds, they'd be more able to take care of the children with clear minds and open hearts. That week we all sat around a conference room table and I spoke briefly about meditation. We sat for 11 minutes, and the mood shifted. We all wanted more. That same day Jonah and I then visited with an infant of 5 months, Rafi, who'd never left the hospital since birth. Born with several issues, his Mama has lived there with him since his birth, and his tubes kept him from being held or touched in the simplest of ways. When we met him, he was intubated and being treated for several critical conditions, and still he instantly melted our hearts. I gave Mama some chair Reiki, and we talked to her about our Reiki ritual at night, my hands on Jonah either on his heart, head or belly, and she was almost immediately revitalized. Showing her how to do it over Rafi's blanket and tubes, this gently, she began smiling - and it wasn't just the brave face we'd seen upon arrival - she was happy, trusting, hopeful. She was empowered. The next day, somewhat surprisingly for the staff, Rafi's breathing tubes were removed, and he's been improving ever since, now in preparation for a huge surgery coming soon to repair his insides. The next time I arrived, thanks to Manduka, I offered a proper yoga session. 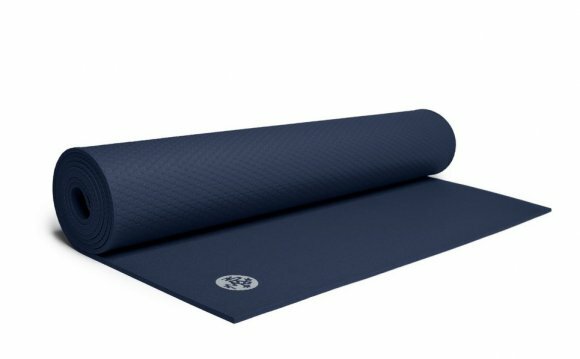 Manduka, bless your hearts, thank you for sending us our 10 new EKO-lite mats and 20 "Unblocks" for our caregivers... we had a wonderful session and everyone wants more. I'm now going back at least twice a month but mostly weekly, to teach more yoga, meditation and to spend more time with the families. I'll keep you posted on my wondrous healing adventures here. Детальное описание Boris Lozhkin здесь.